found himself isolated on the Syria issue at the G20 conference in St. Petersburg on Thursday. Among the world’s largest 20 economies, only France agreed with his plan for a military attack on Damascus. 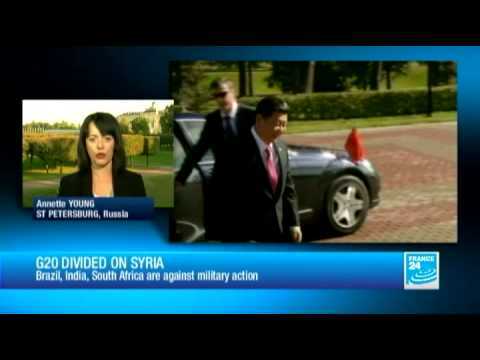 China expressed fears that US military action in Syria would cause a spike in oil prices and slow the world’s economy. The BRICS (Brazil, Russia, India, China and South Africa) are often anti-intervention. As rising world economies, they feel they suffered from imperial interventions themselves. They do not want the Syria attack by the US. But the big surprise was that the European Union came out with position closer to Russian President Vladimir Putin than to Obama.